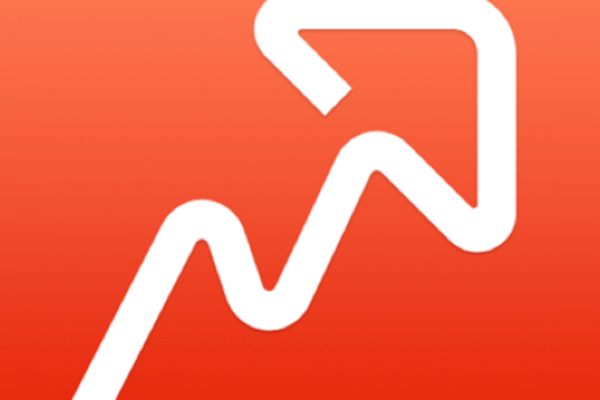 Did you find your website rank with Rank Tracker? 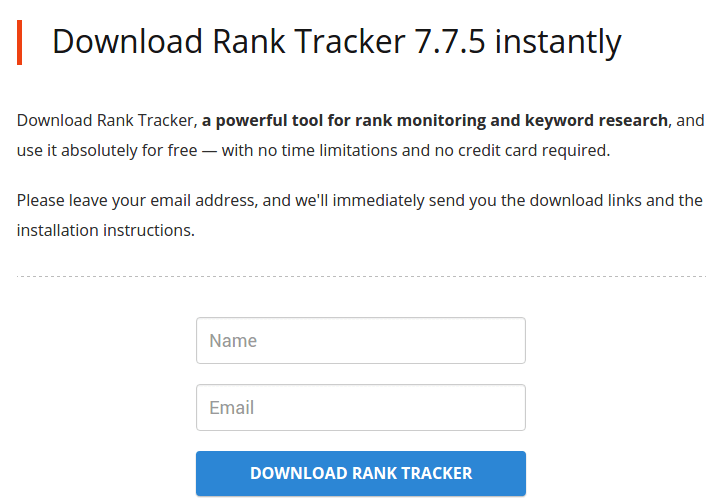 We will find the latest version of Rank Tracker on the official download page. We just need to enter a name and our email to access the download links. Rank Tracker is available for all major operating systems, Windows, Mac OS X and Linux. The installation is simple. It won't attempt to install toolbars or irrelevant third-party software. It will, however, include four other programs from the same company: WebSite Auditor, LinkAssistant, SEO SpyGlass, and BuzzBundle. 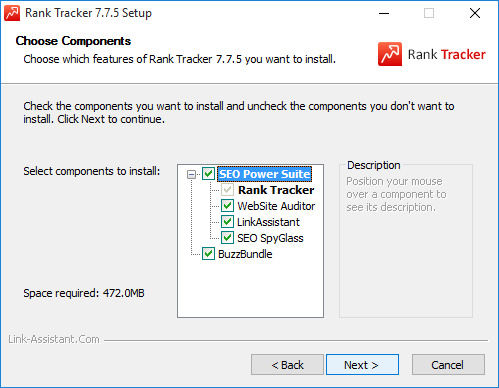 Those programs have essential functionalities for our website's SEO, but none of them is required by Rank Tracker to calculate our website rank. So, we might as well uncheck them, and cut down on the 472MB installation. After we run Rank Tracker, it will ask us about the URL we want to check. We can enter our website's URL, a particular post's URL, or we can enter a competitive site/post to check their website rank for specific keywords. If we are checking our website, it makes sense to connect our Google AdWords and our Google Analytics account. 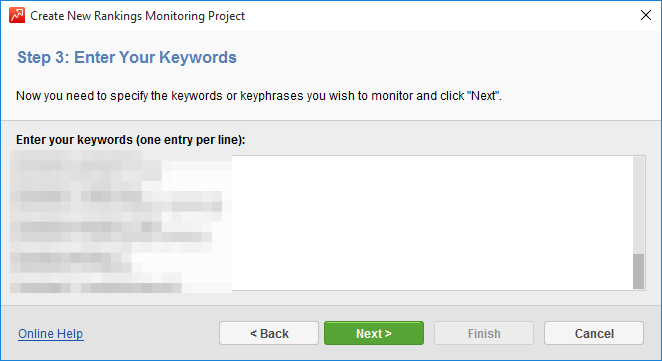 This will allow Rank Tracker to find the keywords that rank the best for our website and use the AdWords tool to help us find new keywords to rank for. 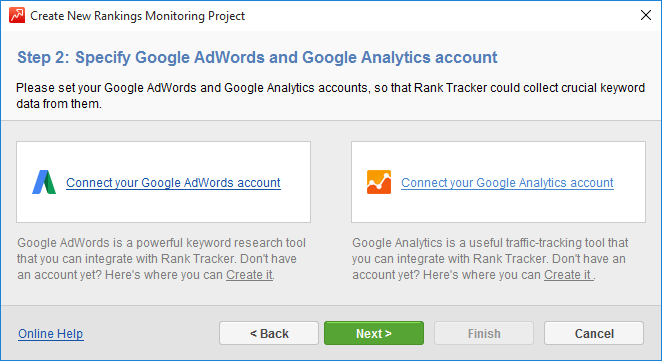 On the next step, if we connected our Analytics account, Rank Tracker will already have pre-populated our most popular keywords. Else, we need to write down some keywords ourselves, one per line. Next, we can choose our preferred search engines. 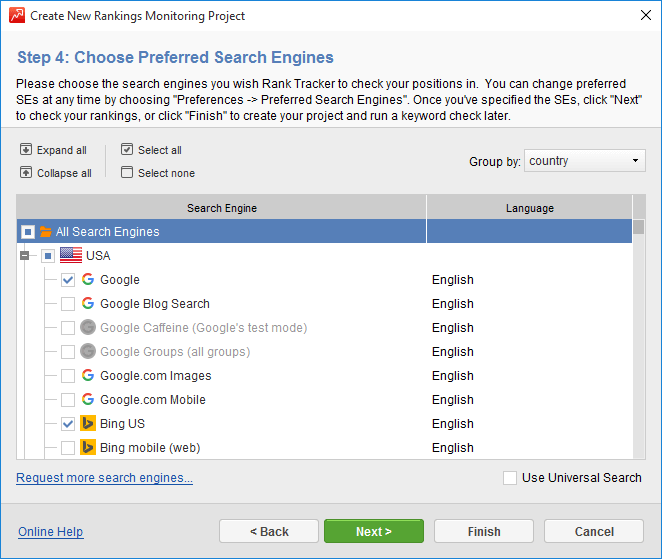 Rank Tracker supports more than 450 search engines, including country-specific search results, such as google.fr or google.com.bd. 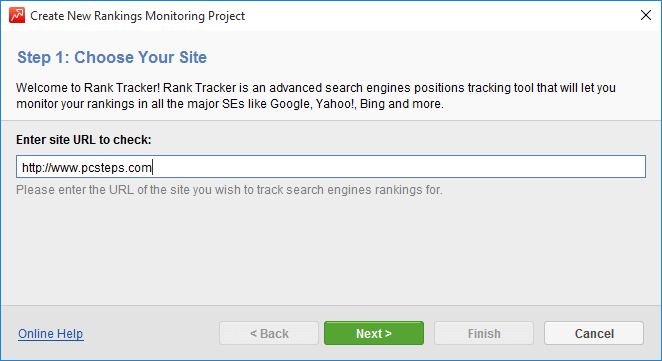 After we made our choice, Rank Tracker will check all the keywords to all the selected search engines. This will take some time, depending on the keywords we selected, the search engines, and our internet connection. The example, with 31 keywords in the three major search engines - Google.com, Yahoo, and Bing - took about a minute. Since Rank Tracker is scraping the search results, if we run too many queries, some of the search engines, including Google, might block us off. To avoid this, we can use a VPN service to change our IP. We recommend CyberGhost. Next, the app will show the results. For every keyword, we will get the rank on each search engine, as well as the specific page of our website that ranks for each keyword. On the summary, we can see our total website visibility for these particular keywords, and the visibility for each search engine. 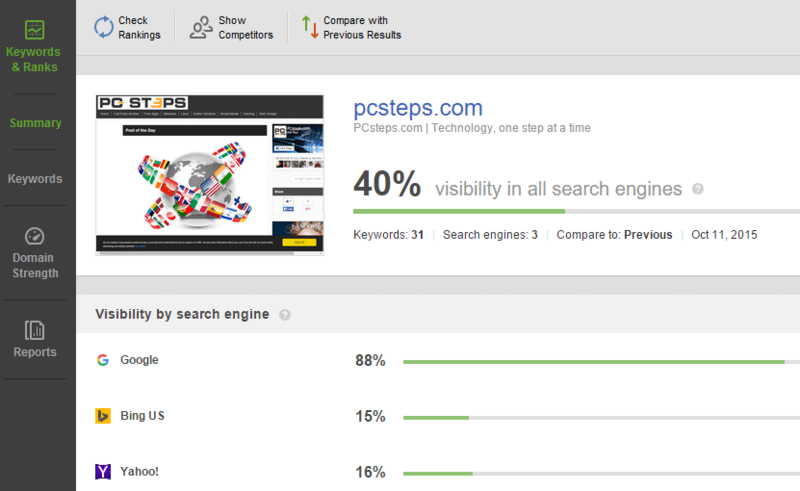 We can also check our keyword rankings, and see how many keywords rank well on which search engines, at a glance. 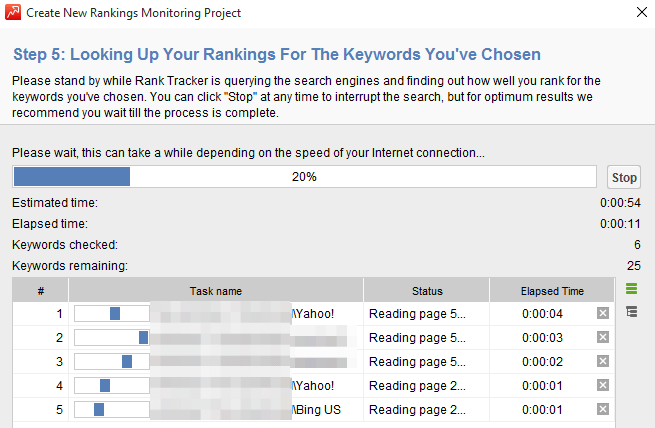 Rank Tracker can do much more than show us how our website or competition ranks for a bunch of keywords. It can help us select new keywords, show how easy or difficult it is for our website to rank for any given keyword, and also help choose the best keywords to run PPC campaigns. Since each of these subjects deserves a guide of its own, we will cover them separately in the next few days. So, stay tuned! All the above functions we described are available on the free version of Rank Tracker. However, the free version won't allow us to save the results, or copy and paste them. Every time we want to see the results, we will have to run the query from scratch. To get the save functionality, which will also allow us to monitor our website's progress over time, we need to upgrade to the full license. It will cost $124.75 for US citizens or €124.75 for EU citizens, and it is a one-time payment, not a subscription. We can also get it as a part of the SEO Powersuite. 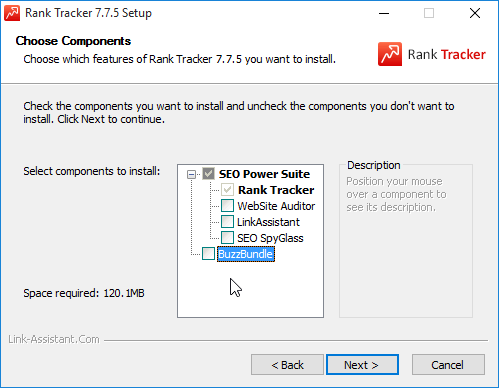 This suite contains Rank Tracker, WebSite Auditor, LinkAssistant, SEO SpyGlass, and BuzzBundleTracker, for a significant discount, as opposed to buying each app on its own. If anything in the guide didn't work as described, and you weren't able to find the website rank for your own or a competitor's site, leave us a comment.